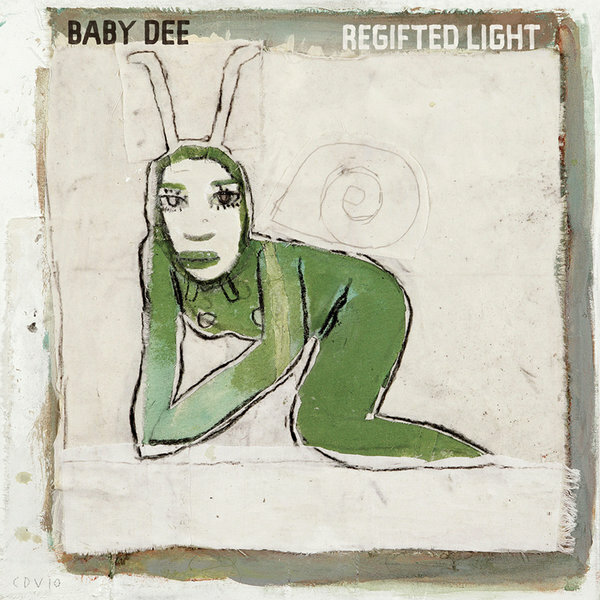 I managed to catch Baby Dee playing live before the Swans on their recent tour, and while it might not sound like it, her unusual, almost absurd compositions were the perfect introduction to Michael Gira's sheet-noise blues. This latest addition to her canon offers more crazed compositions to the fold, taking in piano, glockenspiel, strings and Baby Dee's unmistakable vocals. Her harp (possibly the instrument she is most associated with) is nowhere to be seen but it doesn't matter, her almost vaudeville, strangely gothic songs are realized so well on 'Regifted Light' you'll almost forget she ever played the harp. Dee's compositional skill has already been proven on her collaborations with Antony Hegarty, and here her background in composition shines, especially in the occasional instrumental numbers. As the record progresses the curious fairground undertones reach the surface, and you're am left imagining Coney Island in glorious monochrome, buzzing with early 20th century imagination and hopefulness. This is a record that seems peculiarly out of time, and that's something very welcome indeed. Recommended.